We understand that property taxes remain a huge - and growing - concern as assessments, government spending and taxes continue to grow year after year. We believe that the key to a successful appeal is to have our pulse on changes specific to your property, assessment of comparable properties, and current practices at venues of appeal available to us. Our team of over 30 has over 90 years of combined experience in the property tax field and has filed thousands of appeals. We have saved our clients over $280 million tax dollars since 1995. 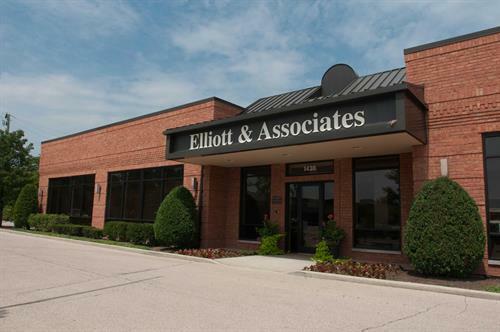 Contact Lauren Elliott (lauren@elliottlaw.com) to see how we can help you with your industrial or commercial property in Des Plaines. Take the westbound I-90 and exit at Lee St. Turn right onto Lee St. and take a slight right to stay on Lee. Proceed on Lee St. until you pass Oakton. Your destination will be on your left.